Avalanche Canada wants to hear what you have to say! They’re trying to find out how their avalanche bulletins could work even better for backcountry users, like you. 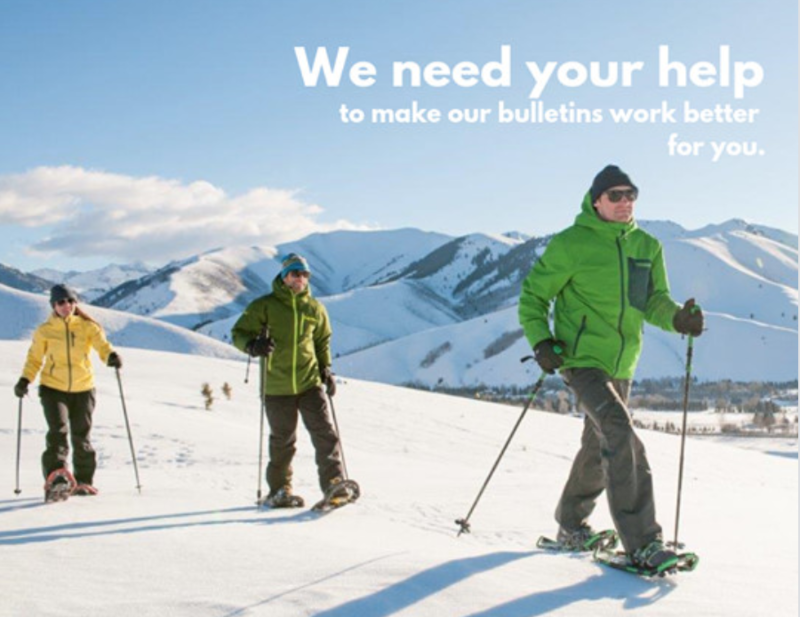 By participating in the Avalanche Bulletin Online Survey you could also win $500! The survey takes about 10 minutes and is absolutely painless. The Avalanche Research Program at Simon Fraser University, Avalanche Canada and several American Avalanche Forecast Centers are conducting a large online survey to examine how backcountry recreationists—skiers, mountain snowmobilers, snowshoers and ice climbers—seek and use avalanche safety information. They are interested to hear from backcountry users of all experience levels about how they use avalanche forecasts and how the existing products could be enhanced to address their needs. The results of this study will provide important information for improving avalanche safety information products in Canada and the United States. As a token of our appreciation, participants who complete the survey before May 15, 2019 will be entered in a draw for several cash prizes. Take the survey here. Help them improve what they do!